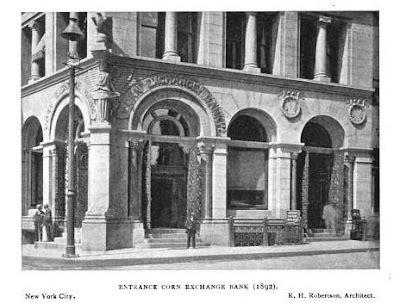 The Corn Exchange Bank Building designed by Robert H. Robertson c. 1894 on the corner of William and Beaver Streets in New York City. Click HERE for more on the Corn Exchange Bank. 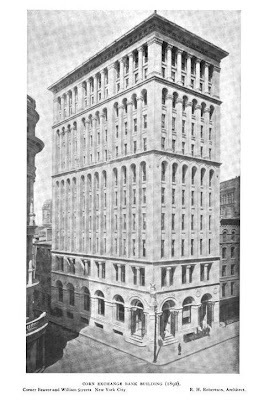 The building has since been demolished and replaced with a condo development. What a strong and handsome structure.Is it still extant, or another fatality to modern sensibilities.